I actually can't remember the last time we visited a Chinese restaurant in Newcastle. I think it was probably as long as 7 years ago. The all-you-can-eat buffets on Stowell Street just don't float my boat. We have a pretty good Cantonese restaurant in my hometown of Cramlington (Mandarin Bay - check it out) and I've never had any reason to visit anywhere else. Until now that is. I will hold my hands up and say that I'm not particularly educated when it comes to Chinese cuisine and have not tried anything beyond the pretty safe options usually served up to us Brits - think Crispy Shredded Chicken in Cantonese Sauce, Salt and Pepper Squid or Lemon Chicken. Not particularly inspiring and I have a sneaky suspicion you won't find my go-to dishes being served up on the actual streets of China. As I was researching this post, I discovered that Chinese cuisine is actually split into eight different types - Anhui, Cantonese, Fujian, Hunan, Jiangsu, Shandong, Sichuan and Zhejiang. Who knew? 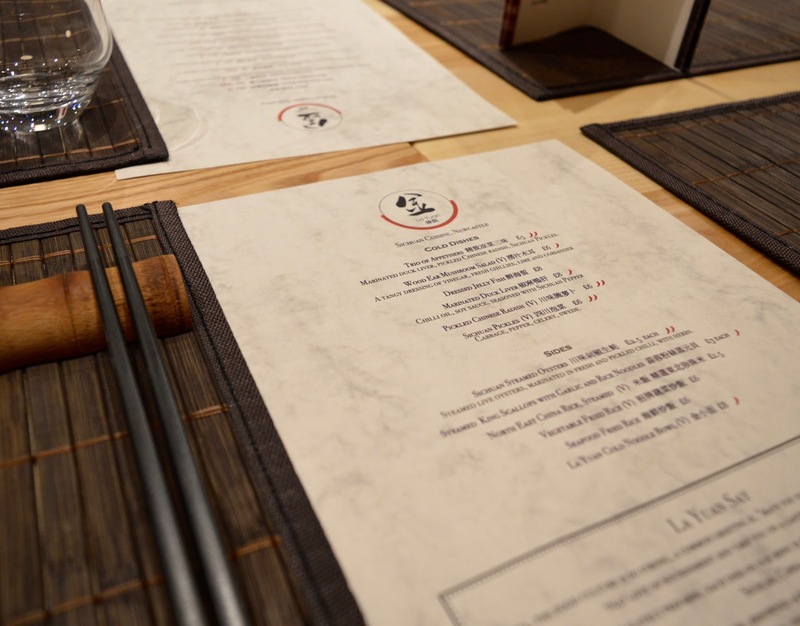 I was pretty excited to receive an invitation to try the specialist Sichuan cuisine at newly opened La Yuan last week and really hoped to be offered something different from the 80+ Chinese restaurants already in our city. 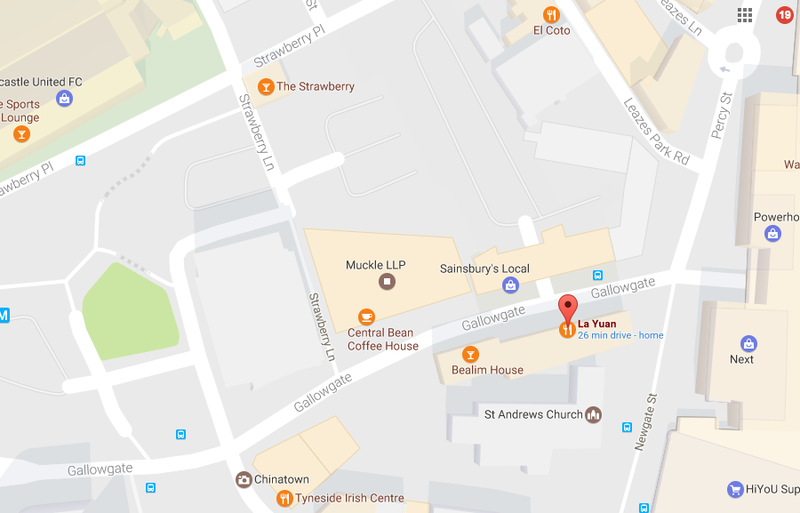 La Yuan is super easy to find on Gallowgate - it is opposite Sainsburys Local and a couple of doors down from Bealim House, just before you enter the main area of Chinatown. It is very conveniently located with Eldon Square, Tyneside Cinema, Theatre Royal, Tyne Theatre & Opera House, Northern Stage and St James' Park all being less than a 10 minute walk away. The decor is simple and it feels more like a cafe than a restaurant. Don't let this put you off though. As we stepped inside we were greeted like friends, our coats were taken and our lovely waitress Rachel helped us pick the best table to take photographs (extra points for this). The table next to use was filled with a large group of Chinese students who were celebrating a special occasion and were full of praise for La Yuan - always a good sign when the local community have given the place the thumbs up. 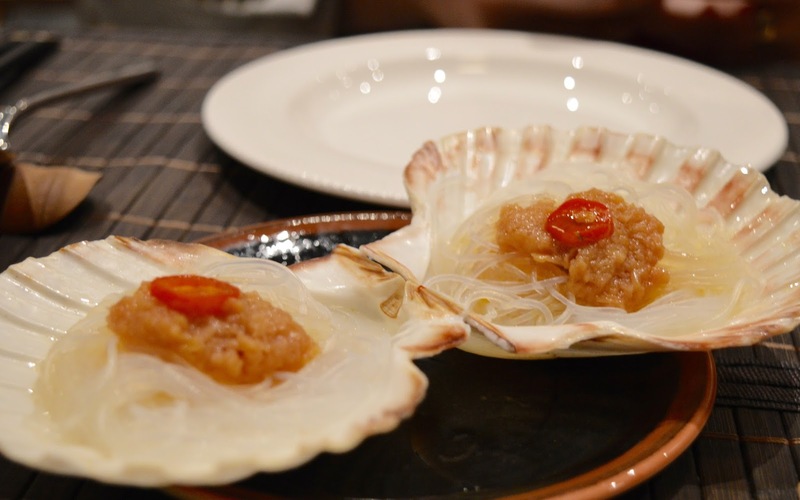 The menu at La Yuan is a far cry from anything else in our region. 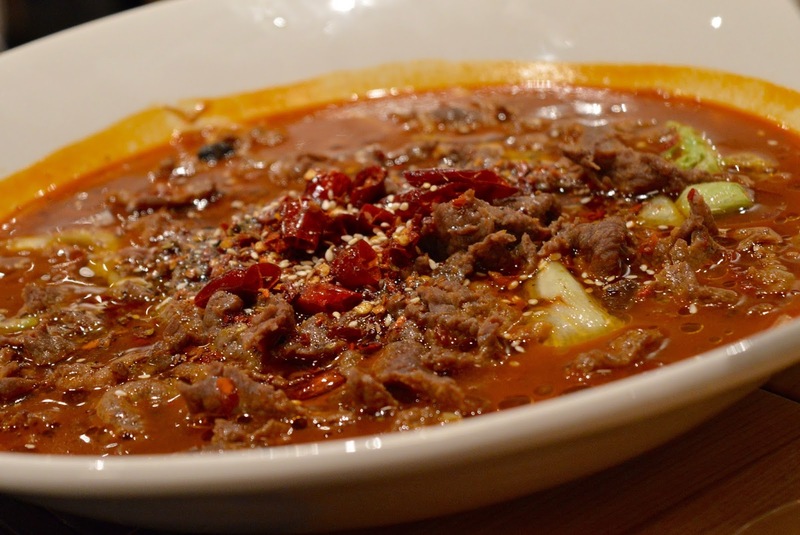 There are a selection of cold and hot dishes, all freshly prepared and focused around the flavours of Sichuan cuisine. The menu is modern and a clever blend of sweet, sour, bitter and salty. Don't be scared when you visit and don't recognise any of the dishes - the staff are simply superb. Rachel asked us (and every other table dining) if we had any dietary requirements or needed any explanation/help in deciding what to order. The atmosphere is nice and relaxed and you absolutely don't feel silly asking questions about the food on offer. We went with a Trio of Appetisers (Duck liver, pickled radish, mixed veg - £6) and Sichaun Steamed Oysters to start (£2.50 each). Both of these dishes were the perfect start to our meal. Whenever we've ordered oysters in Newcastle before, they've always been served raw and it was a nice change to try them served in this way. The flavours were really delicate and left a nice warming feel to your mouth without being mega spicy and stripping your taste buds. 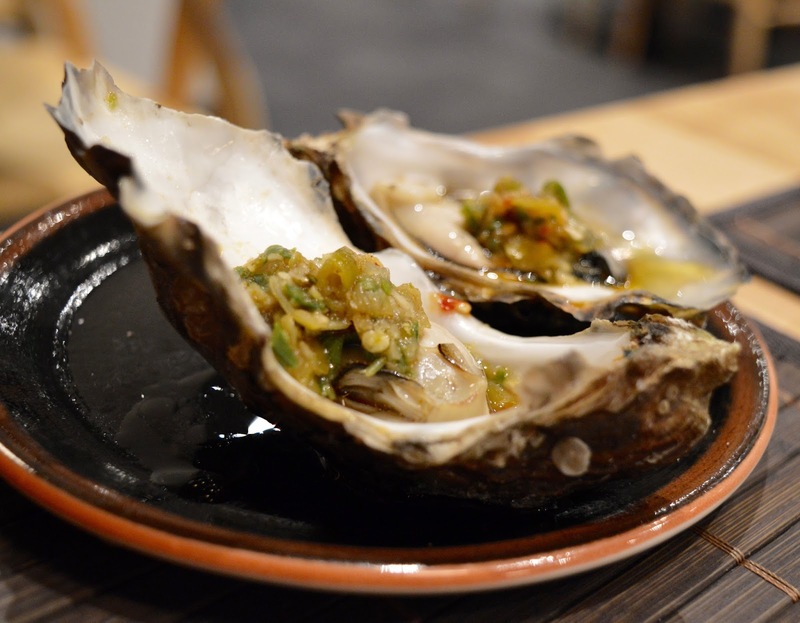 If you're squemish about the idea of eating oysters - these ones are a very good place to start. The Trio of Appetisers were just as good. 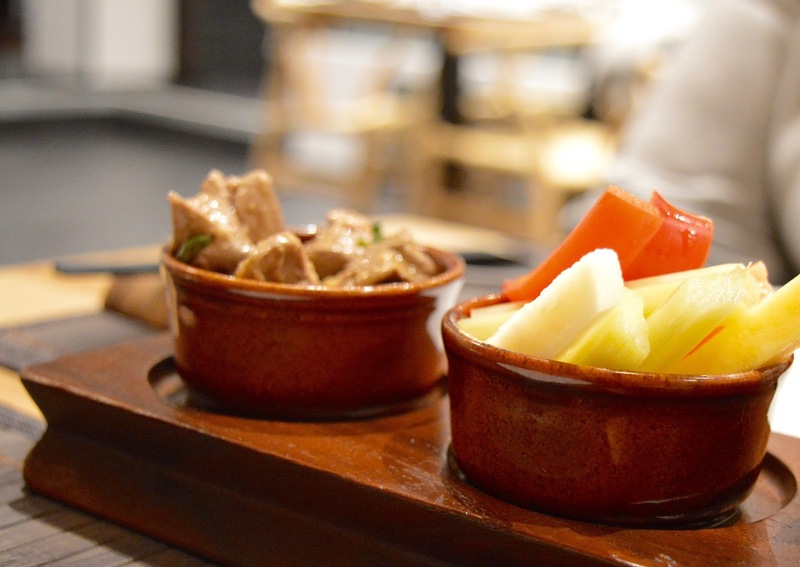 I'm not keen on duck's liver (check out Steve's review to hear what he thought) but the pickled radish was actually addictive and the perfect palette cleanser. I want to learn how to make this myself now. 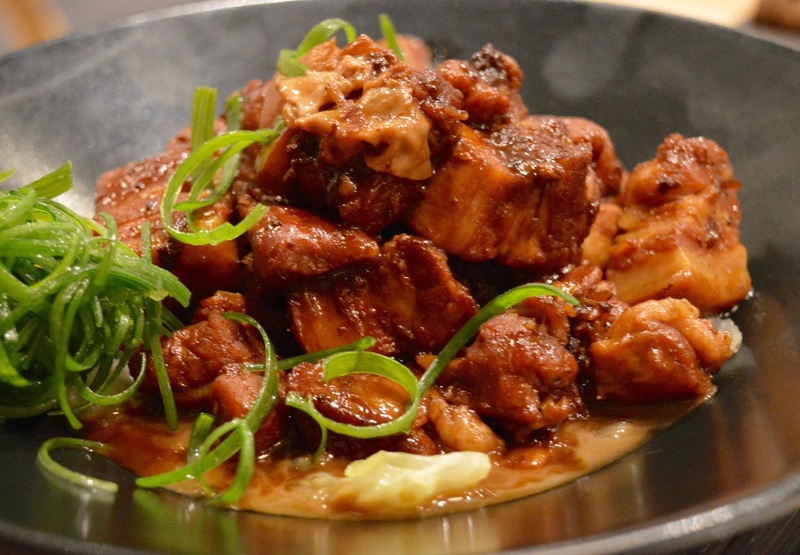 Onto the mains and I went with Hung Shiao Pork Belly. I am a sucker for belly pork - what can I say. I loved how this version was slow cooked and beautifully tender and packed with aromatic spices. Delicious indeed. When Steve's dish arrived I wish I had been a little more adventurous with my choice - although it was nice and a very good version of the dish, I have eaten slow cooked Belly Pork so many times and wish I had tried something new. Next time! Steve's dish of Shuei Ju Beef was the real star of our meal. Priced at £12.50, the portion was huge. I enjoyed stealing a few spoonfuls of this so much that I already know I'm going to order it next time. The blend of spices was superb and although I've read a few reviews saying it is fairly spicy, I like my dishes hot and it was perfect for me. It was warming and comforting and very moreish. Honestly if I was at home I would have been mopping all of the juices up with a slice of bread it was so good. If you like aromatic dishes on the spicy side, give this dish a try. Our final dish was 2 King Scallops with Garlic and Rice Noodles. I don't think I've ever eaten scallops served like this but they were excellent - plump, not over-cooked and beautifully presented. The scallops were allowed to speak for themselves and weren't heavily spiced which is always the best way I think. On reflection, I think next time we will stick with the trio of appetisers, a couple of oysters, 2 mains and a couple of bowls of rice between us. This is more than enough food for 2-3 people and at around £37 is superb value. Our meal at La Yuan is the first time I have experienced something truly different in a long time. 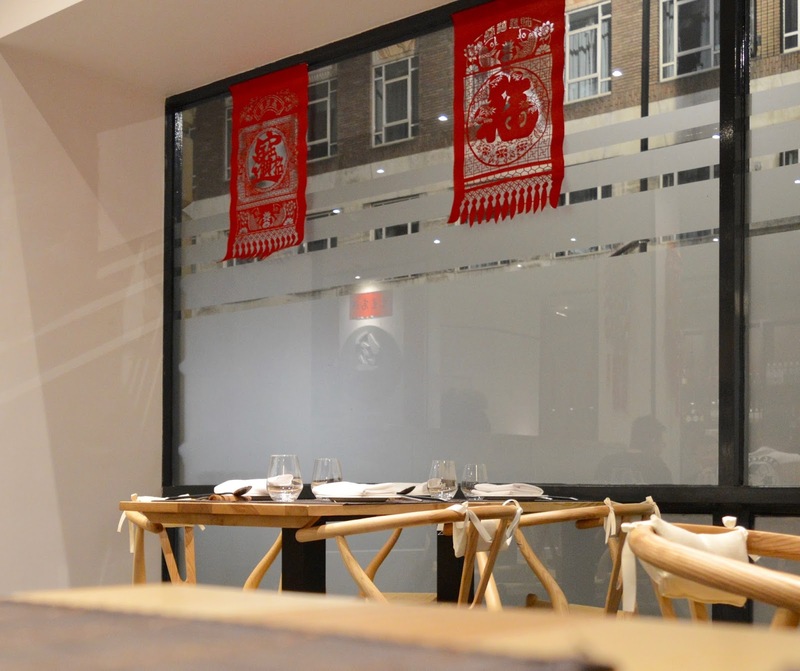 If you're bored of the options already served up in Newcastle, you must give La Yuan a try. 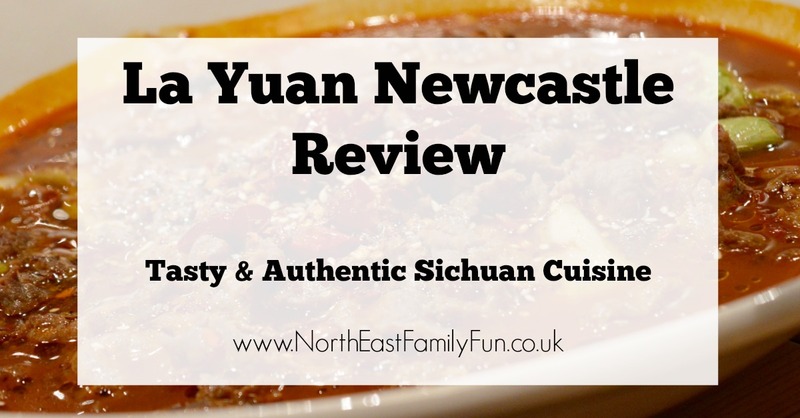 Disclosure : We received a complimentary meal at La Yuan in return for an honest review. My mouth is watering reading this. This is totally up my street - no surprise there though as we have similar food tastes. Like you I'm not a fan of the cheaper all you can eat Chinese of china town so I haven't been for years but reading this has me wanting to go head down and check it out. I'll definitely be adding it on my to try list, if you speak this highly of it, I know it's going to be great. I love Chinese food but like yourself I am often disappointed eating in Chinese restaurants. This looks and sounds delicious. Easy parking too! Especially interesting for me because I used to work in Bealim House when it was Beals Printers! Hope to eat here soon. This place is like a breath of fresh air for Chinatown in Newcastle, I loved it and will definitely be back!